Before yesterday’s game, as Terry Francona discussed his upcoming rotation, he asked for patience. Patience from Brad Penny, and patience from the media, to see what transpired over the next nine innings. Those innings - at least the six pitched by Junichi Tazawa - must have been a balm for a manager relegated to removing one pitcher from the rotation yesterday. BOSTON - When the Yankees signed A.J. Burnett to a five-year, $82.5 million contract, they expected the pitcher to dominate the Red Sox the same way he had his entire career. What they've gotten is a hurler who has been roughed up in three of his four starts against Boston this year, including all three of his outings at Fenway Park. BOSTON - So there was a frustrated A.J. Burnett on the back of the mound, arms spread wide, quite visibly asking himself why in the world he just threw the fastball that David Ortiz had parked in the seats above the Green Monster at Fenway Park. The TV cameras zoomed in on his self-loathing at that very moment, which only served to stir the pot on the simmering issue of compatibility between Burnett and Jorge Posada. BOSTON - Derek Jeter is human after all. Jeter went 0-for-3 in the Yankees' 14-1 loss to the Red Sox Saturday, snapping his hitting streak at eight games. Jeter had recorded six consecutive multihit games before taking his 0-fer Saturday. Even with the hitless day, Jeter is hitting .510 over his last 12 games, bringing his season average to .331. 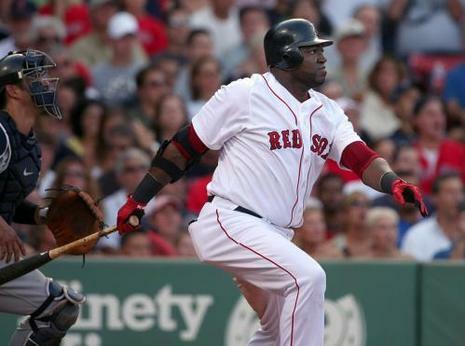 BOSTON - The Red Sox sent a message to the Yankees Saturday that they're not quite dead yet. Sure, the Bombers put an unsettling 20-run pounding on Boston Friday night, but the Red Sox picked themselves up off the deck and counter-punched with a 14-1 rout Saturday. Whether they can make up the 6-1/2 games in the AL East standings in the final 40 games remains to be seen, but the Red Sox see their ancient rivals as closer than the standings indicate.